Use Passport Premium to enhance software services with automatic translation. 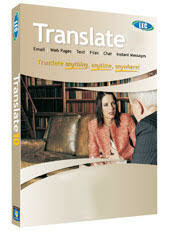 Passport Premium gives access to all of LECs translation engines. Integrate our fast and accurate translations with business applications, websites, e-commerce, e-learning, and other applications. Passport Premium is SOAP-based, with extensive documentation for integration with your application or service. Subject dictionaries let you translate specialized terminology accurately. ProQuest uses Passport Premium to translate business and technical articles to increase their readership. Babylon uses LEC’s translation engines to offer services to their customers. Transclick uses Passport Premium to translate SMS (instant messages) for mobile applications. Automatic updates: software, grammar, and dictionaries are all constantly updated and are the most recent available. Automatic language identification: Passport Premium will automatically identify the source language, so text can be translated from many different sources without requiring the additional step of identifying the source in your application. LEC’s outstanding support — our staff help you to make your project a success. With a unique composite translation engine that also allows for "two-stage translations," such as Spanish-to-English-to-Japanese, Passport Premium provides a total of over 300 language pairs. Pricing for Passport Premium is based on the annual number of translations. Contact us for pricing. Fill out the form below. We usually respond within the same business day.